has passed away aged 94. Below is a selection of their music. 08.Oh, Johnny! Oh, Johnny! Oh! 23 - Hurry! Hurry! Hurry! 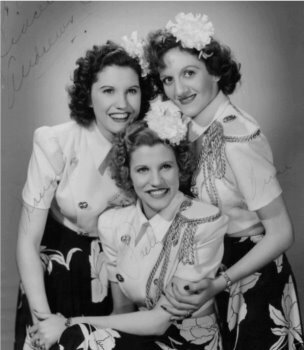 05 - The Andrews Sisters - Oh, Johnny! Oh Johnny! Oh! 02. Oh Johnny, Oh Johnny, Oh!